Like I stated on Tuesday, I’m headed to see Justin Timberlake this weekend in Austin and I thought I’d share what I’m packing with y’all. I’ll literally only be there for a day, so I’m just bringing a backpack and crossbody purse but I thought I’d give y’all a peek into them. Backpack – I bought this backpack for my Barcelona trip, and it’s already paid for itself twice over. So many pockets and super roomy and it’s theft proof! Oh, and bonus it has a built in cable for your portable charger and you can charge your phone by plugging the cord into a port on the side of the backpack. Crossbody purse – Another Barcelona purchase after my trusty crossbody that I always wore broke. I was due for a new one since that other one was a few years old, and this one fit the bill perfectly. It’s super spacious (I can fit a full wallet, eyeglass case, trinkets bag, portable charger, camera body and lens in the main compartment with room to spare), I love the design and the zippered compartment in the back is perfect for my phone. Plus it’s reasonably priced so it’s perfect for traveling and concerts, and I won’t feel bad if it gets scuffed or scratched or if the strap breaks. It can be easily replaced! Collapsable water bottle – This is an outdoor concert so I’ll need to make sure I stay hydrated. I’ll bring this in empty and fill it up inside the venue and clip it to my purse that way I’ll be hands free and can enjoy the concert or share clips on Snapchat or Instagram. Toiletries go-bag – I keep this bag packed at all times so I’m able to throw it in my luggage when I’m traveling. Body wash, lotion, hair cream, sleeping pills, alka-seltzer, pain pills, contacts and solution, makeup remover and Clorox wipes are just a few things in the bag. Travel make-up – I’m keeping it pretty light for this trip since the concert is outside. I’m thinking about just wearing powder, brows, eyeshadow and liner, mascara, blush, liquid lipstick and my new favorite highlighter. TOMS slip-ons – They’re so comfortable and since this is a SRO concert comfort is key! Compression Leggings/tunics/tanks – I’m now a firm believer that leggings are totally pants as long as they’re thick enough and your top covers your goods. For me this means that I’m wearing them with tunics or long tanks under my long tees. I have to be able to move at this show and my compression leggings will let me do that. I’ll throw in something to sleep in as well as my head scarf and probably some comfy sweats to ride home in, but I plan on traveling really light this weekend. 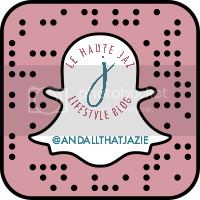 Make sure you’re following me on Snapchat and Instagram so you can tune in to this weekend’s shenanigans!